If someone had told Joe he had a tiger in his tank, he wouldn’t have believed them. If someone had told the Corrections Officer he had a tiger in his tank, he wouldn’t have believed them. 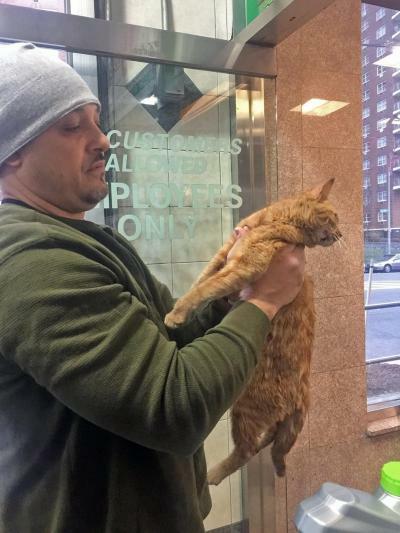 But when he heard a technician at Boston Road Lube in the Bronx yelling at another car owner after popping the hood, he just went into action. 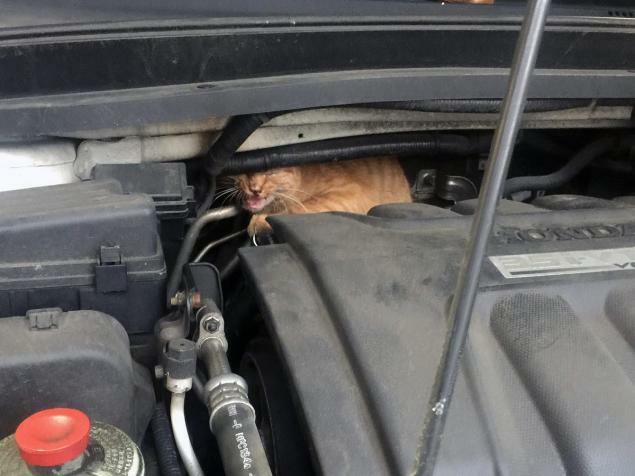 He thought he was going to get an oil change, but Joe Rodriguez, came away with something else that purred besides his car engine. A kitten. No one could figure out how the kitten had gotten in there, if she had hitched a ride at some point, or simply crawled in to escape the rain or cold. Cats do often crawl up under hoods or on tires for warmth. Joe carefully removed the six-month-old kitten from extremely tight quarters. She wasn’t fighting or scratching, just meowing as if to ask for help getting out. Joe obliged and for his efforts, the kitten cuddled with him. The people at the ASPCA consider Joe a Christmas hero. Baby probably does, too.